The Midnight Review: Gingrich Is A "Master Debater!" 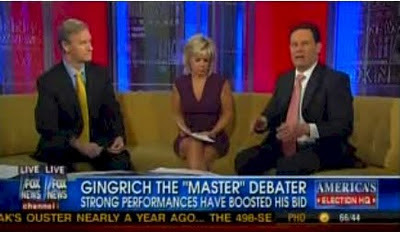 The chyron reads: "Gingrich the 'master' debater." Say "Gingrich the master debater" five times fast. You should get a good laugh! For those who don't get it, ask a thirteen-year-old boy.